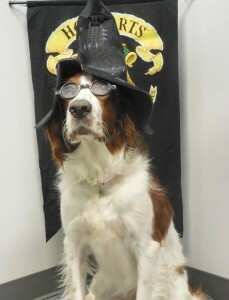 Drop your dog off where it all started. Tysons Corner served as the launching pad for the entire Dogtopia franchise when it opened in 2002. 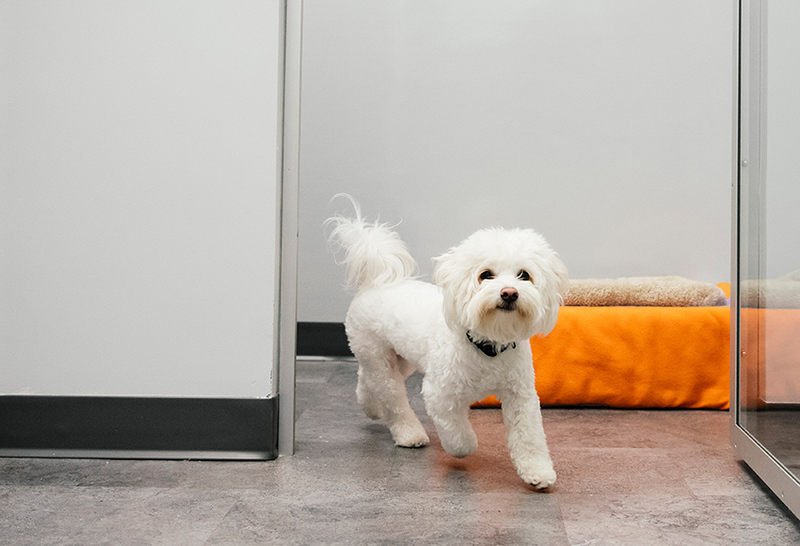 It’s where we refined our approach to caring for dogs, which now extends to all Dogtopia locations across North America. 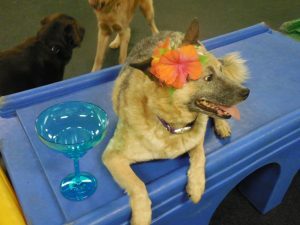 We offer dog daycare, dog boarding and dog spa and grooming services rolled into one innovative package! 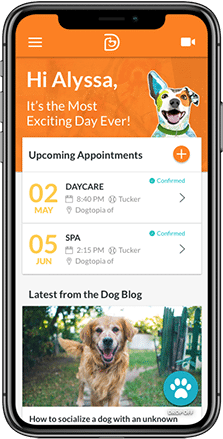 Dogtopia provides a true one-stop shop for all your dog care needs. 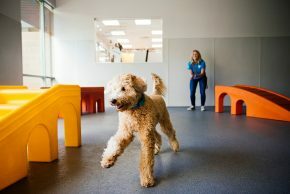 Dogtopia of Tysons Corner boasts over 10,000 square feet of space and four unique playrooms. 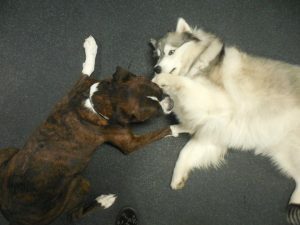 We separate dogs according to their size, temperament and style of play. 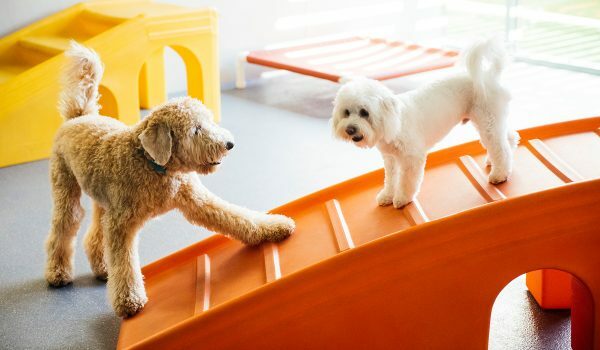 Daycare and boarding dogs enjoy up to 10 hours of play every day. 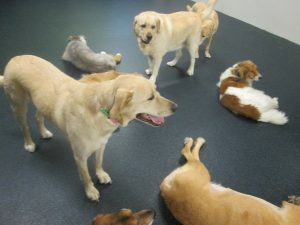 Each of our playrooms is equipped with webcams so you can check in on your pup during the day. Put your mind at ease and watch how much fun they’re having with their new friends. 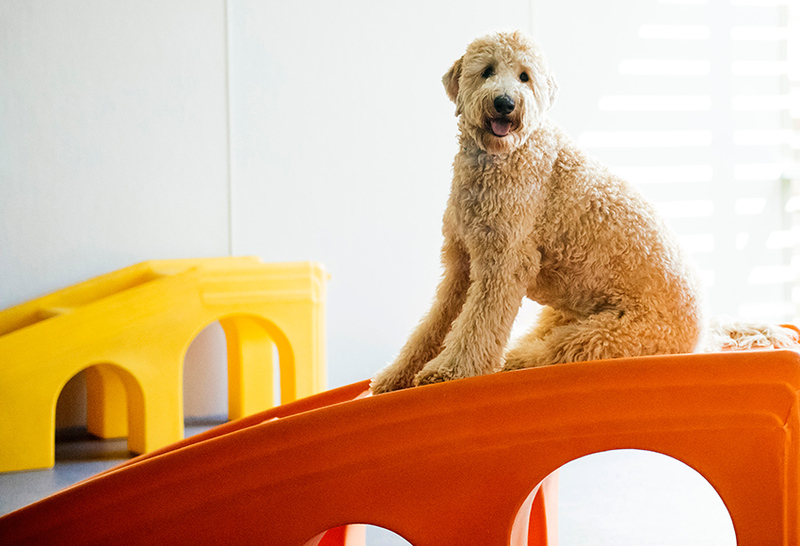 The rubberized flooring in our playrooms provides a comfortable surface for your dog to run and jump on. 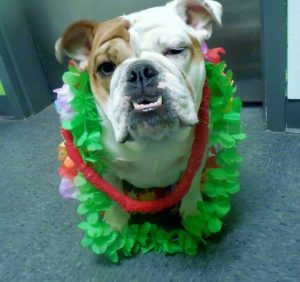 The material is especially beneficial for dogs suffering from hip dysplasia and other joint ailments. 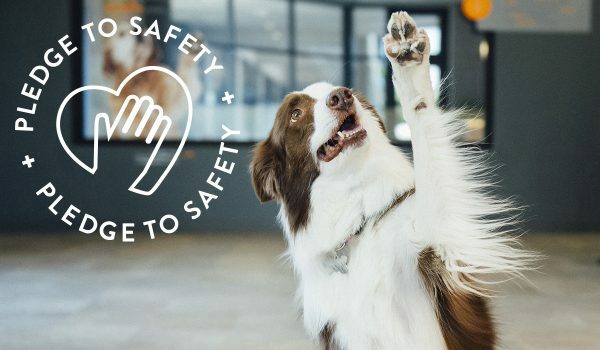 Our friendly and knowledgeable staff will provide everything your pup needs to have a safe and paw-some time when they stay with us. 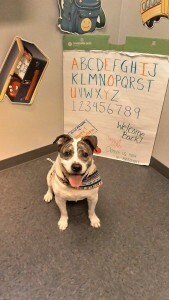 Tysons Corner is where Dogtopia created our innovative “all-in-one” approach to caring for dogs. 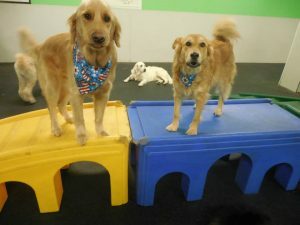 Our doggy daycare is based on daycare for children: a safe and fun environment where you can drop your pup off for a few hours or the entire day. Our highly trained team will ensure that they have fun in a safe and clean environment. 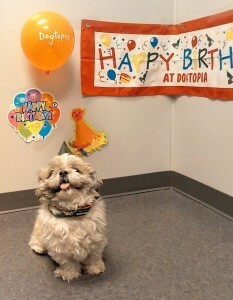 If you’re going on vacation or a business trip and can’t take your dog with you, Dogtopia of Tysons Corner is the perfect place to leave your dog while you are away. Your pup won’t spend the entire time in a crate. 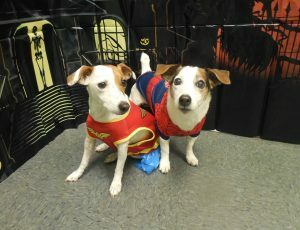 Instead, they’ll enjoy full freedom in our playrooms with other dogs. 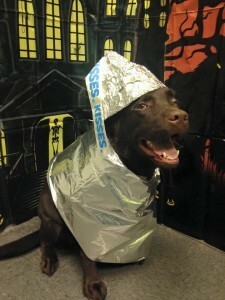 That’s just one of the many innovative approaches to dog care we developed here in Tysons Corner. 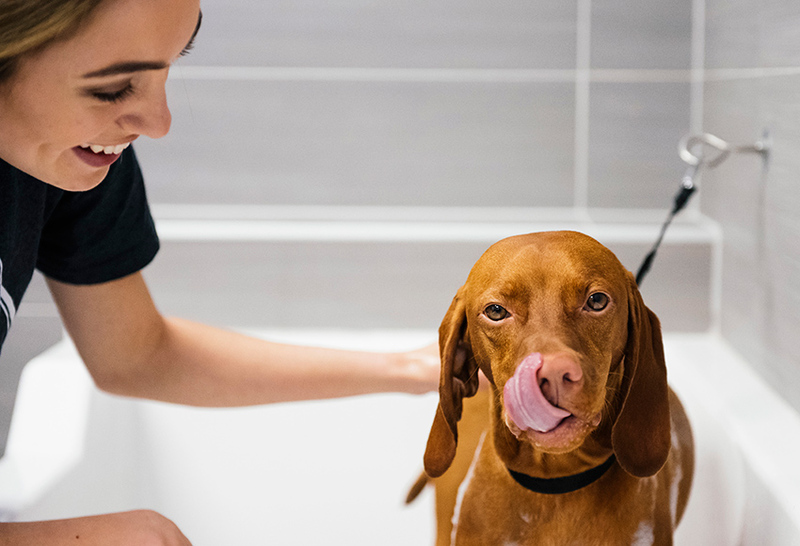 Bathing your dog can be an ordeal for both of you, so leave the stress and mess at home and let us handle it. 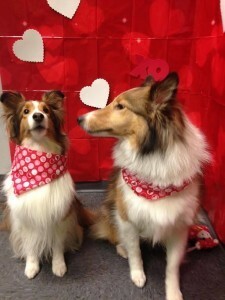 Your fur baby will be clean, clipped and look their best after our groomer works their magic. 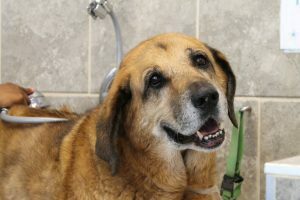 Self-serve baths are also available at our location. Best of all, our team will take care of the clean-up afterwards! 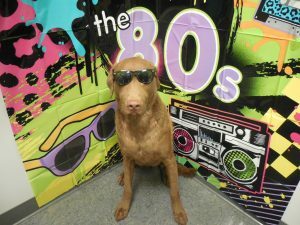 We also offer a full selection of Blue Buffalo dog food at an affordable price. Stop in to check out our selection. 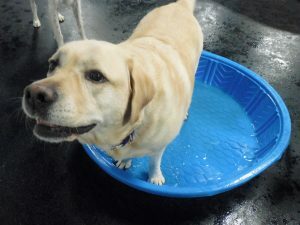 Dogtopia of Tysons Corner provides a central location for dog parents in Vienna, Arlington, Great Falls and the surrounding regions. Our facility is located near one of the biggest shopping destinations on the East Coast. We are also close to Silver Line for Metro access. Our facility is right off of route 7/Leesburg Pike. 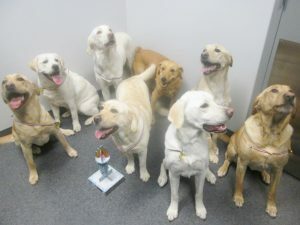 Dogtopia of Tysons Corner is located in Spring Hill Business Center at the intersection of Spring Hill Road and Greensboro Drive. To book our services, please create an online appointment request or contact us. 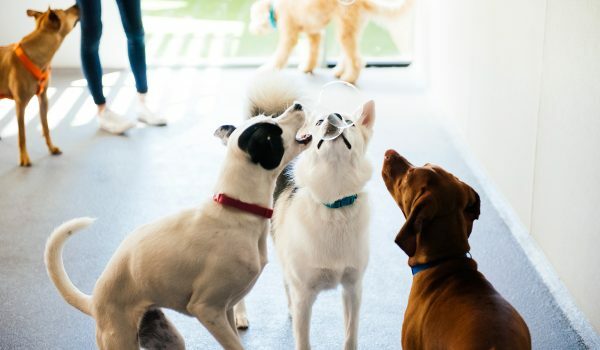 We require daycare or boarding clients to schedule a meet and greet with our team so we can determine if your pup is the right fit for our open play concept. 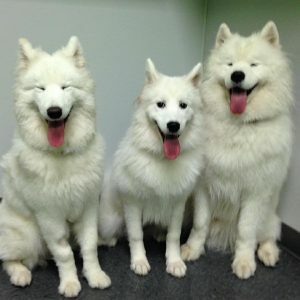 Our groomer’s services are in high demand, so book ahead to avoid disappointment!